A lot of the problem could be solved if we simply could get the fair market value for grazing on public lands. Would this make some ranchers go out of business? Probably so but the true reality is that beef ranching, just like any other business endeavor, has evolved into something much different that it was even 50 years ago. It that unfortunate for some small operations? It is. Is deflecting that, and doing great environmental damage to our public lands by having highly subsidized grazing rates so they can be competitive by creating an artificial “free” market ignoring the true reality? Absolutely. The fact is that much of this has been brought on by conversion of sage habitat, much of it occurring on public lands for improved grazing conditions, has been a prime contributor to the decline of sage grouse on western ranges. So my bottom line is, let’s let true free market force work for a few years. 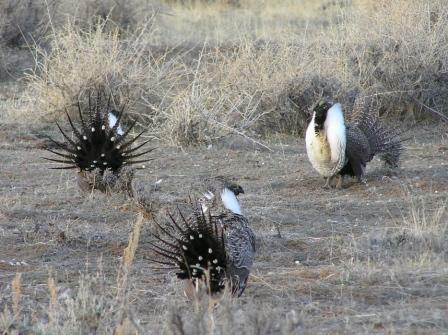 If we did, we see much better range conditions and more sage grouse. Great minds, Jay, great minds. I am with you.